Looking for a CSIA certified chimney contractor? Look no further than Chimney Solutions, serving Kennesaw GA, Acworth GA, Woodstock GA, Dawsonville GA, Canton GA, and the surrounding communities. 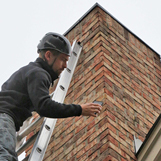 Chimney Solutions provides a range of chimney sweep services like chimney restoration, chimney liner installation, chimney cap replacement, chimney crown sealing, chimney waterproofing, leaky chimney repair and more. 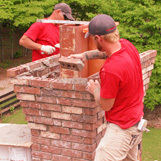 Since 1998, our chimney technicians have been delivering quality workmanship and excellent customer service to the residents of Kennesaw GA. Local homeowners regularly recommend us to their family, friends, and neighbors, which is why we’ve become the chimney contractor of choice for the Greater Atlanta area. Every chimney professional employed by Chimney Solutions is CSIA certified and trained to handle even the most difficult of chimney issues. We stand behind every job we complete which is why we have gained thousands of satisfied customers across the area. Our professional technicians will always arrive at your home on time, in a company uniform, and clearly marked Chimney Solutions van or truck. Down Moon Station Rd and Cherokee St and across Jiles Rd and Old US Hwy 41, from Swift-Cantrell Park to Shiloh Square Shopping Center, residents can easily spot our Chimney Solutions work vehicles as they travel on their way to provide local homes with chimney repairs, chimney inspections, smoky chimney repair, chimney relining services, and historic chimney rebuilding. Our dedication to meeting high standards for quality workmanship and quick response times have helped us become the chimney sweep provider of choice for Kennesaw GA. Residents have come to trust in us to provide fair prices, written estimates, and a full explanation of recommended chimney repairs or maintenance. Honesty is the best policy and we will gladly work with homeowners to deliver the service they deserve. As good standing members in the National Chimney Sweep Guild and the Chimney Safety Institute of American, our goal is to remain on top of ever-changing industry standards, best practices, and new products. Hiring a chimney sweep? Read this first! The industry has been affected by uncertified, uninsured “chimney companies” who are out to scam unsuspecting homeowners. By offering low, low prices for common chimney services like a cleaning or inspection, they entice homeowners into hiring them without looking into reviews or ratings. 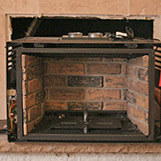 Once hired and on site at your home, they perform a quick “inspection” of your chimney system. They will then report to the homeowner that the chimney faces some serious or danger issues that must be repaired immediately. This is a scare tactic that they use in order to get the homeowners to agree to expensive chimney repairs services, but think twice before agreeing to empty your wallet for these “cheap sweeps.” In most cases these repairs aren’t even necessary so it’s best to get a second opinion from a reputable chimney contractor first! It’s better to be safe than sorry and you should never leave the safety of yourself or your family in the hands of untrained contractors. Kennesaw GA can count on Chimney Solutions for all fireplaces, stove, fireplace inserts, and chimney system or venting system needs. 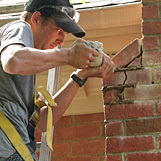 We deliver top quality chimney sweep services to the Greater Atlanta area and the surrounding communities.